Did you know that Saturday was National Drink Wine Day? True story. A quick google search later, it looks like every day is some sort of special day dedicated to a particular food or beverage. Wednesday is National Margarita Day. Salud! My birthday (June 20) is National Vanilla Milkshake Day. Sweet! Anyhoo, we kicked off National Drink Wine Day a little early with dinner with three good friends on Friday night. 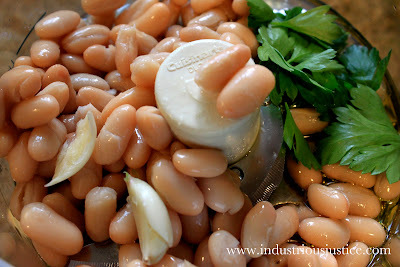 I whipped up this white bean spread in just a few minutes while bread slices were toasting away in the oven. It is a nice bite to accompany almost any type of wine and a great start to our meal. Preheat oven to 350º F. Slice baguette into slices and place in a single layer on a baking sheet. Brush both sides of the bread slices with 1 tablespoon olive oil and sprinkle with salt and pepper. Bake until bread begins to brown, approximately 10 minutes, flipping slices halfway through. Remove from oven and let cool. Combine 1/2 of the cannellini beans, garlic clove, 1 tablespoon lemon juice, and 1 tablespoon parsley in a large food processor. Process until smooth, adding a little water if needed. Add remaining beans and pulse until combined but not totally smooth. 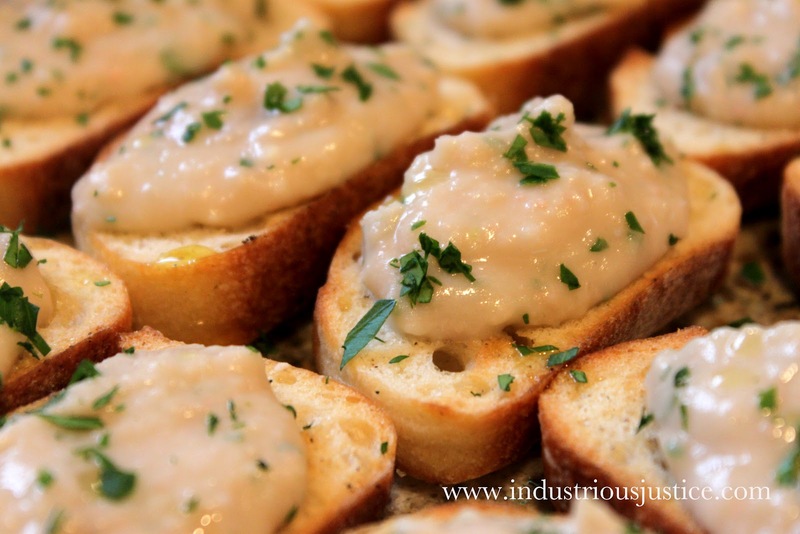 Spread each crostini with a large spoonful of the white bean spread. Drizzle with remaining tablespoon of olive oil and sprinkle with remaining tablespoon of parsley. Oh good Lord ... that looks (and sounds) delicious!